Lewis is a business student at Chesterfield College currently completing his work experience within West Studios. Below is his take on our monthly shop edit, highlighting his favourite items within the gallery-shop. 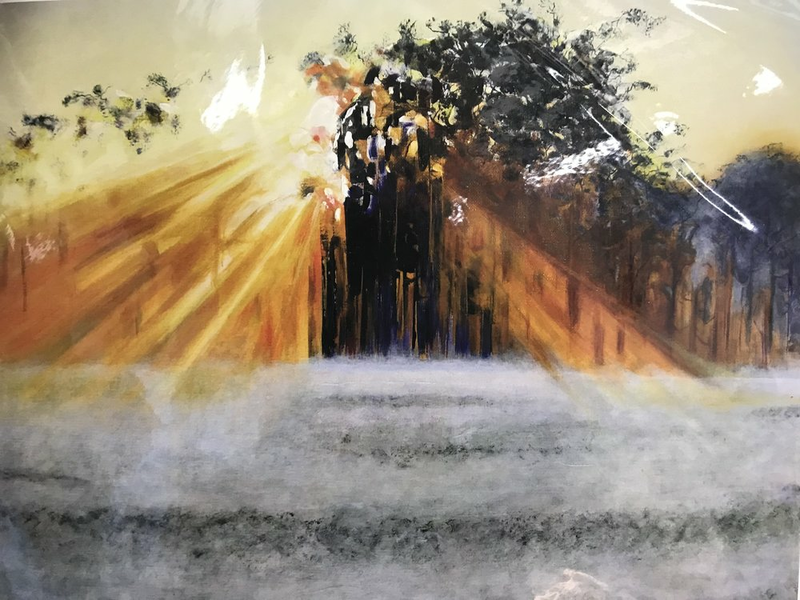 This piece of work created by Martin Davis is an incredible painting that shows the power of light feeding through the trees. It has a good use of blending the orange beams of light and looks realistic enough. I consider it to be one of the best paintings in the shop. It is a colourful painting and is worth the £50 to have it hung on a wall for all to see. Accurately crafted and three-dimensional in design it is possibly the best brooch of them all. If you are one that likes a brooch this one is for you. It costs only £9, a good price. 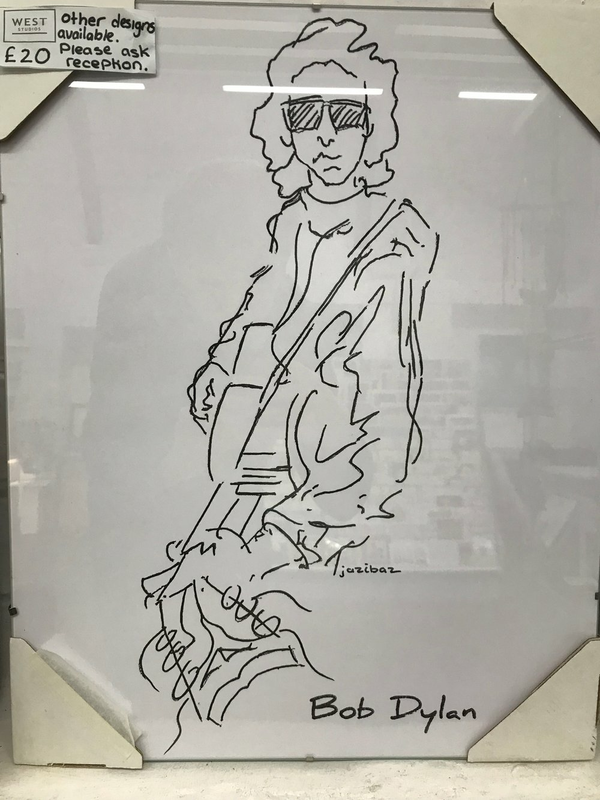 If you are someone interested in basic ink pen drawings but correctly detailed or have a love for rock, then this piece of work designed by Jazibaz is the one for you. It comes at a great deal of £20 and would look great on a wall in your home. An incredible photograph made by Jerry Daniels shows the effects of fog hovering around the trees and an interesting church in the background. It gives off that feeling of lost but exploring the unknown. It comes at £30 and is perfect for buying today. If you are an artistic person this item greatly represents your creativeness. 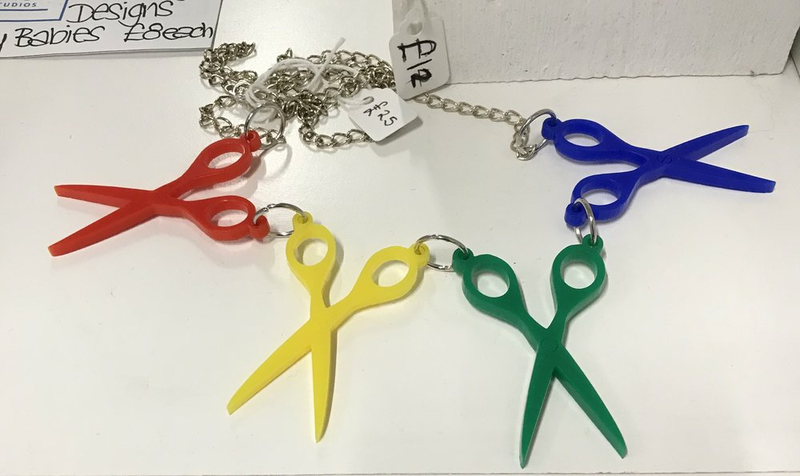 The scissors are perfectly safe to wear and come in multi-colour They come at the price of £25. If you want to purchase any of these items from the edit please contact us on 01246 500799 to reserve the item you want to come and collect.